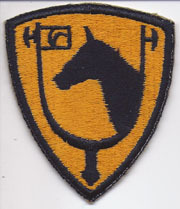 WWII 61st Cavalry Division Patch. Fully machine embroidered. Unused.